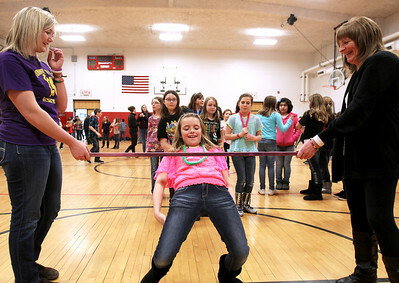 Monica Maschak - mmaschak@shawmedia.com Abby Jones, 9, a fourth grader at Riverwood, dips under the limbo bar at the Preteen Jam hosted by the McHenry Parks and Recreation Department at Duker School on Friday, March 1, 2013. Fourth and fifth graders from District 15 schools were all invited to participate in dancing, games, door prizes and more. 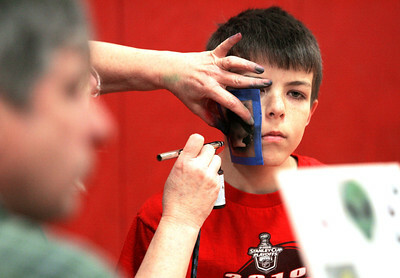 Monica Maschak - mmaschak@shawmedia.com Cole Payton, 10, a fourth grader at Duker School has a penquin airbrushed onto his face during the Preteen Jam hosted by the McHenry Parks and Recreation Department at Duker School on Friday, March 1, 2013. Fourth and fifth graders from District 15 schools were all invited to participate in dancing, games, door prizes and more. 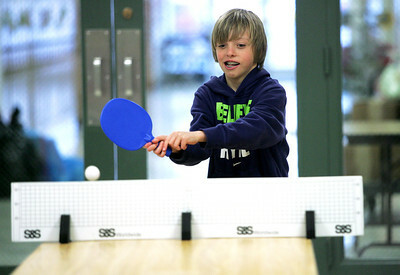 Monica Maschak - mmaschak@shawmedia.com Gabriel McNally, 9, a fourth grader at Riverwood Elementary, swings for the ping pong ball at the Preteen Jam hosted by the McHenry Parks and Recreation Department at Duker School on Friday, March 1, 2013. Fourth and fifth graders from District 15 schools were all invited to participate in dancing, games, door prizes and more. 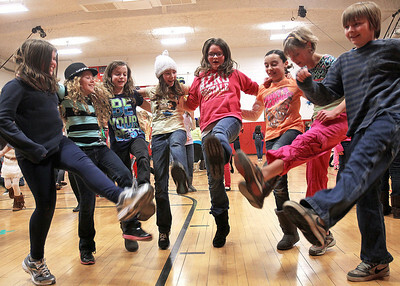 Monica Maschak - mmaschak@shawmedia.com A group of friends kick up their legs and dance to "Cotton Eyed Joe" at the Preteen Jam hosted by the McHenry Parks and Recreation Department at Duker School on Friday, March 1, 2013. Fourth and fifth graders from District 15 schools were all invited to participate in dancing, games, door prizes and more.